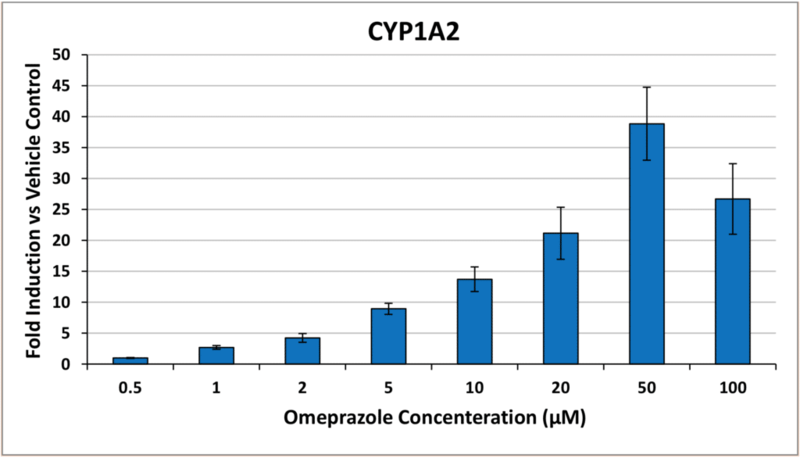 Predict the potential drug-drug interactions of your test compound or xenobiotic using our Cytochrome P450 (CYP) Induction assay. Cultured primary hepatocytes from three donors are exposed to the controls and the test compound for 72 hours. The test compound should be assessed at several concentrations surrounding the expected human plasma drug concentrations. 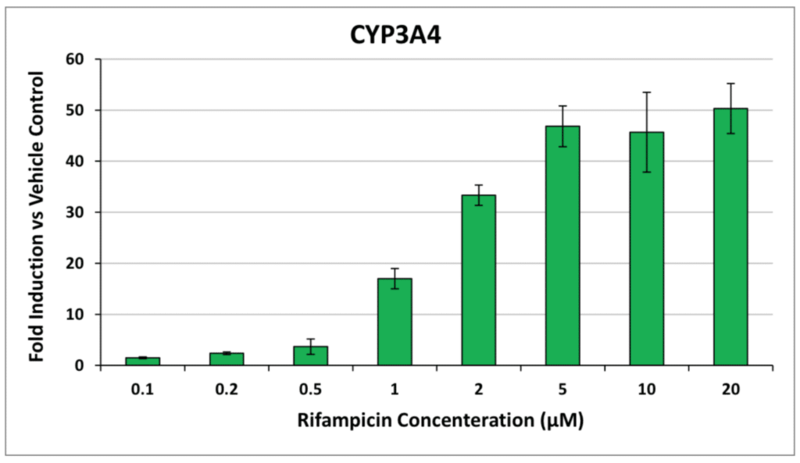 After the exposure, the mRNA is isolated and CYP1A2, CYP2B6 and CYP3A4 gene expression levels are analyzed by real time RT-PCR (qRT-PCR). The data are normalized to housekeeping genes and presented as fold induction vs negative (vehicle) control. 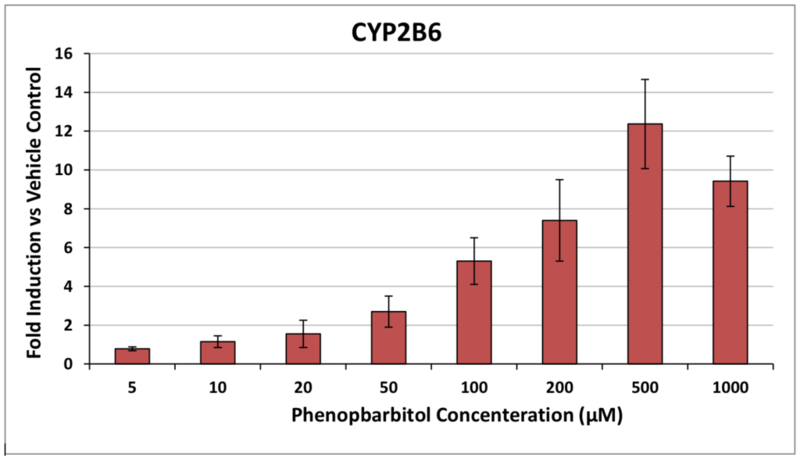 IONTOX can also evaluate changes in CYP activity toward specific substrates. This information provides an added level of confidence. IONTOX’s CYP induction study can be combined with our Human Dynamic Multiple Organ Plate to assess the effects of the tested compound or metabolites on subsequent tissues, such as the kidney or lung.